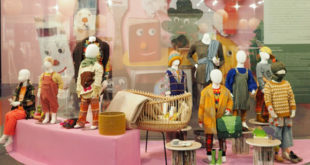 Visiting Playtime Tokyo for the very first time was a delightful discovery in Japanese design for kids. 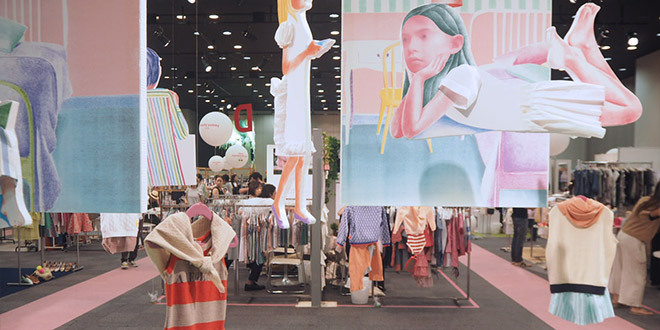 This year at the 16th edition of the Playtime children’s trade fair, an entire section called Kodomono was dedicated to contemporary design objects for children. Brands including Feelt, Mastro Geppetto and Re:verse Products were some of our favorites. Feelt – The RK is an easy to assemble, lightweight yet extremely solid children’s chair by designer Michihiro Hayashi. 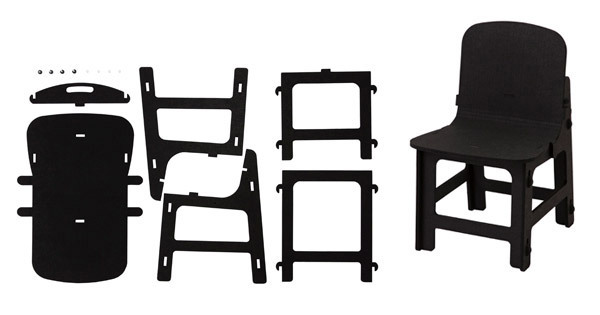 This chair is delivered in a flat box with a choice of three different colors to match almost any room decor. 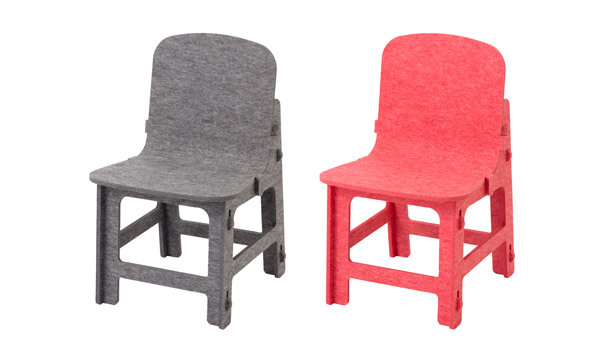 Hayashi’s rigid felt chair has already won various design awards. 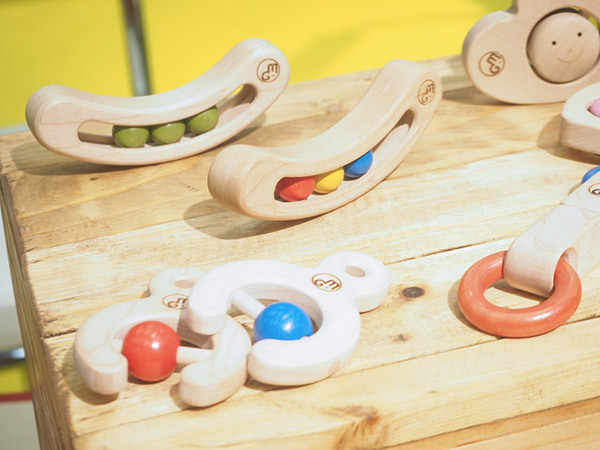 Mastro Geppetto – A wooden toy company founded by Italy born Japanese designer Shuhei TOMINAGA . 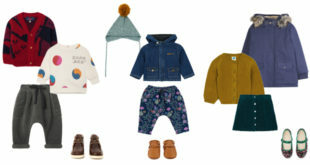 The beautiful designs include vintage style baby toys with a modern twist. 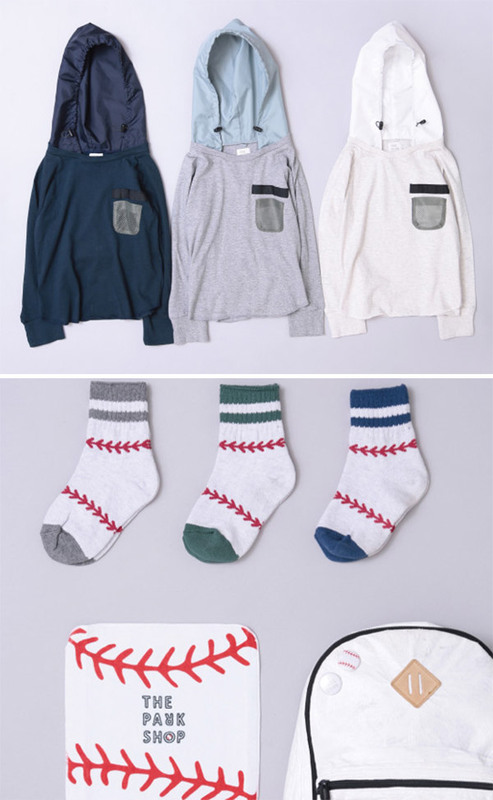 Each object is so simple, yet perfectly thought out. 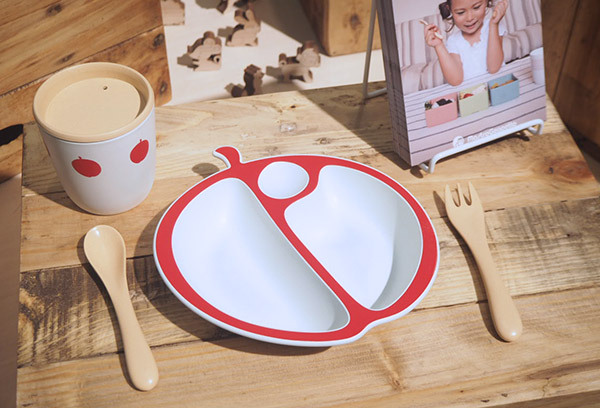 Mastro Geppetto also produces retro style bamboo dish sets in the shape of fruits. 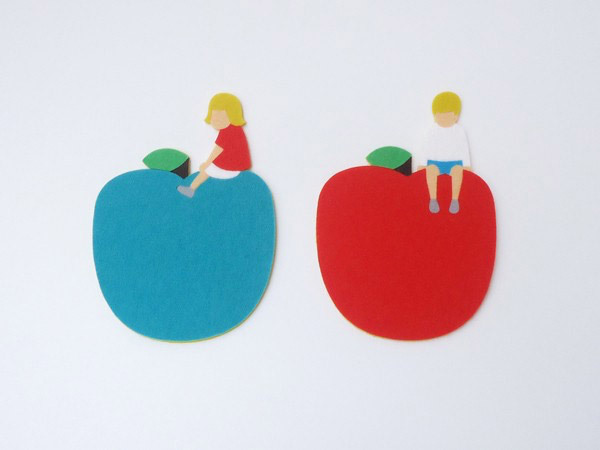 Re:verse Products – Artist Takeru Toyokura creates a captivating universe of childish, felt characters. 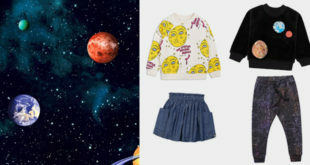 From accessories to fashion, these adorable characters are a must-have! 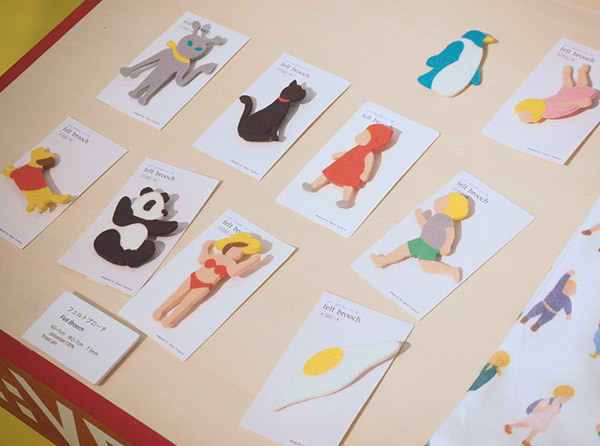 Toyokura has also published a beautiful book about how to make your own felt characters. Because it is not as easy as Toyokura makes it, we would definitely prefer shopping them up readymade. Some favourites include the small children playing in the park. Truly adorable! 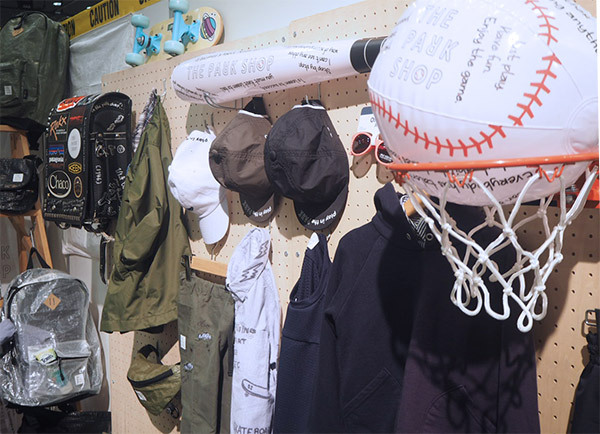 Other remarkable kids fashion designers present at Playtime Tokyo include Japanese brands : Arch & Line, Nunuforme, and The Park Shop. 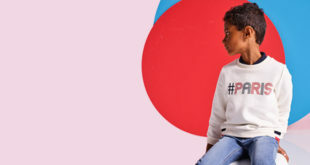 There was also a strong presence from European brand favorites including ABC123me, Bobo Choses, Little Creative Factory, Louise Misha, and Omy.